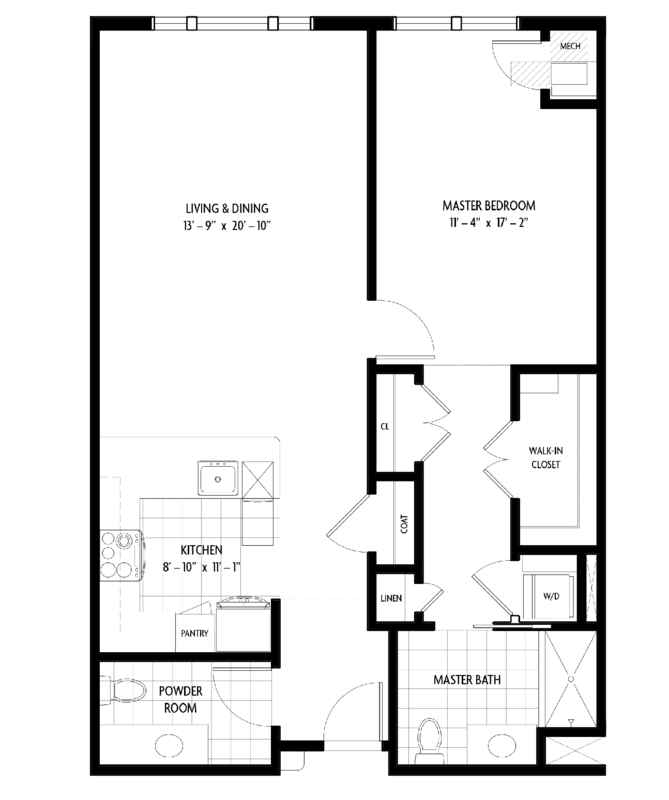 Enjoy the comfort of a master bedroom suite with our only floorplan offering a one bedroom with a separate powder room for guests. Available with southern exposures, this 1,000 square-foot design is a short walk from our pool and fitness amenities. Paired with housekeeping and home maintenance, enjoy all the Peconic Landing lifestyle has to offer as a great value in The Sterling.